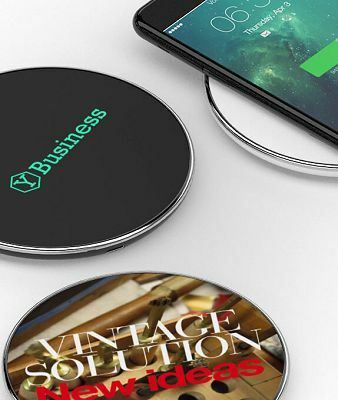 QI Wireless Chargers for Logo Branded Gifts. 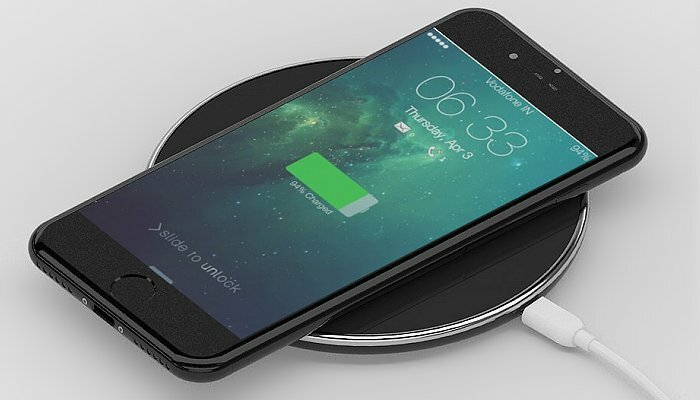 Guide: bulk buy QI Wireless Chargers prices. Price includes full LED logo or full CMYK print as standard on one position and delivery in the UK and Western Europe. VAT extra. Wireless Connectors. Optional accessories only needed for old non-QI enabled mobile phones. A logo printed mobile phone battery charger with QI wireless magnetic induction technology and energy emission of 5W. 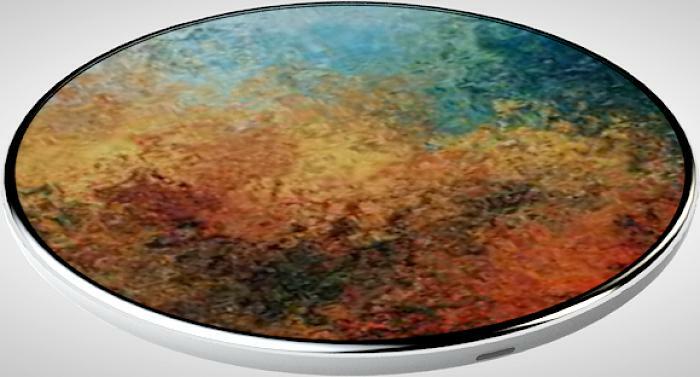 96mm diameter branding area including LED printing. 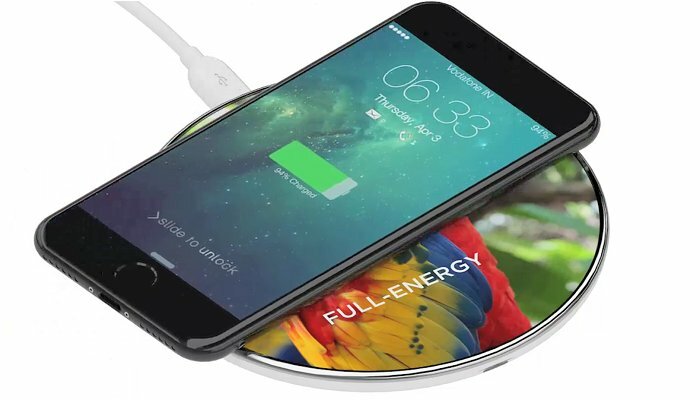 You can recharge your smartphone simply by placing it on the surface of this device without having to connect it via a cable. 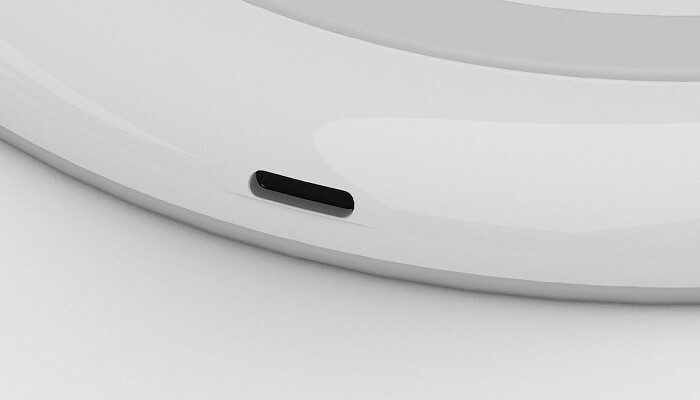 That's because the battery charger uses wireless technology to the QI standard and it works via magnetic induction with an energy emission of 5W. 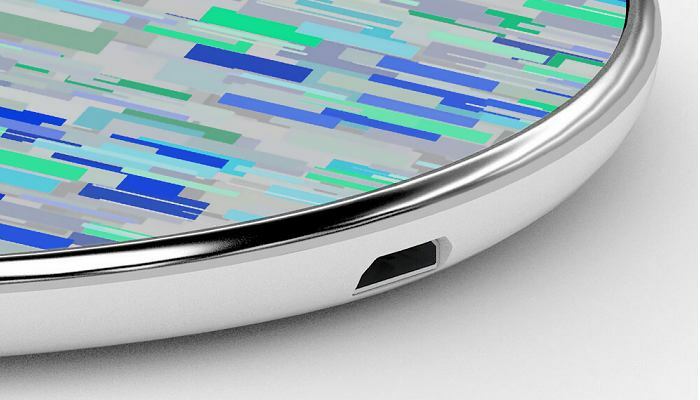 LED printing creates layers of colour with a relief effect combined with a back-lit LED light. Different colour densities create special light contrasts that lend the chosen graphics more depth. Logo Printing: Silk-screen Printing, CMYK printing, LED printing. For smartphones that are incompatible with wireless technology you can add a choice of wireless receiver for Android, Ios, TypeC.